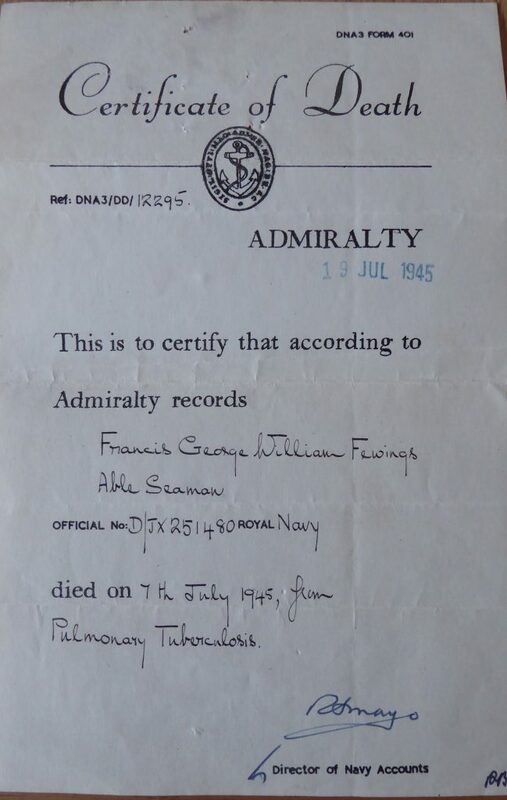 The two documents within this collection have been very kindly supplied by Nick Fewings, Grandson of Francis Fewings, who served on HMS Wayland as an Able Seaman from the 18th November 1944 until the 28th May 1945. All photographs are copyrighted by Nick Fewings unless otherwise stated. 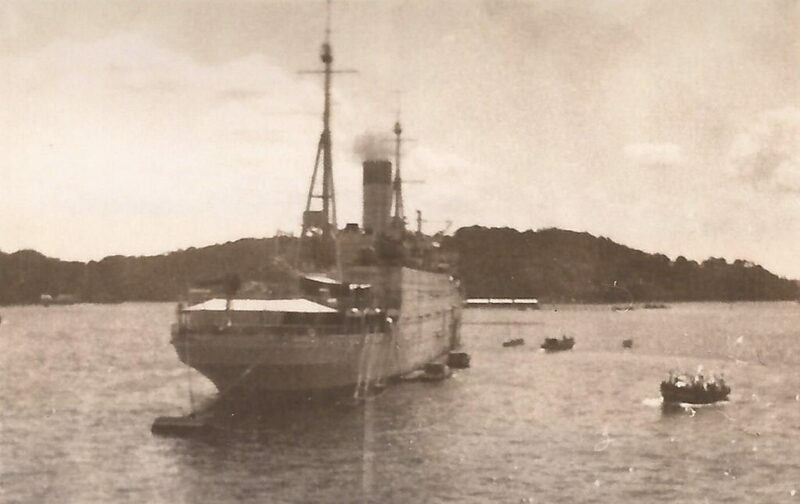 Francis George William Fewings, known to his shipmates as Wills, joined HMS Wayland at Trincomalee, Ceylon, where the ship was anchored close to Sober Island, supporting the Far East Fleet in the war against Japan. After 6 months on HMS Wayland, Francis returned to England at the end of May, 1945 and returned to HMS Drake, the main naval barracks at Devonport. He sadly died of Pulmonary Tuberculosis in the Barrow Gurney Hospital, in Bristol on the 7th July 1945. His body was later transported back to his home city, Plymouth, by train for burial.